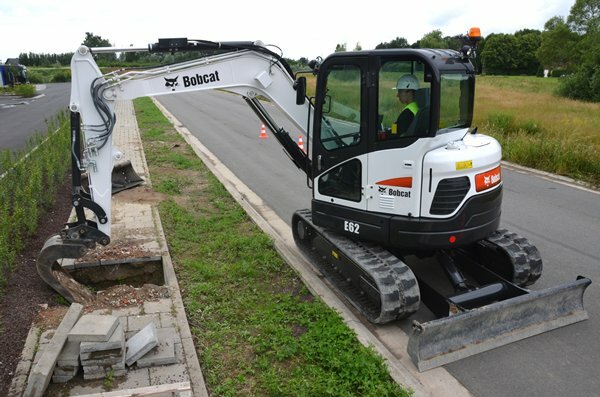 Similar to the other “E” generation excavators, the Bobcat E26 is designed for reliability, operator comfort, smooth workgroup control and superior hydraulic performance. 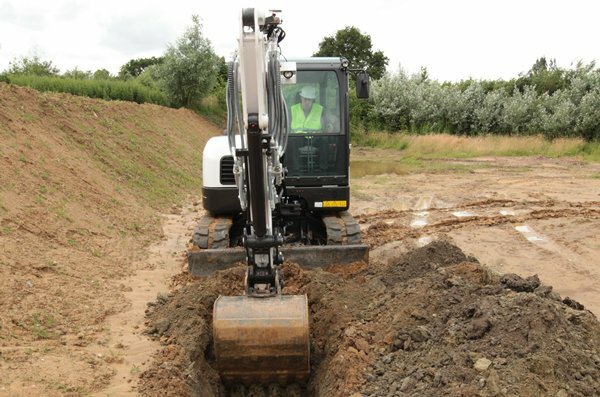 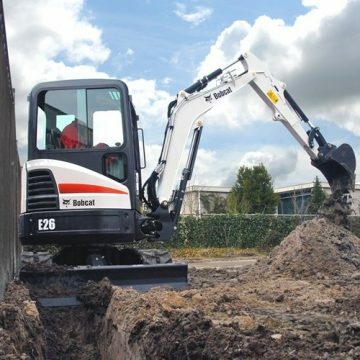 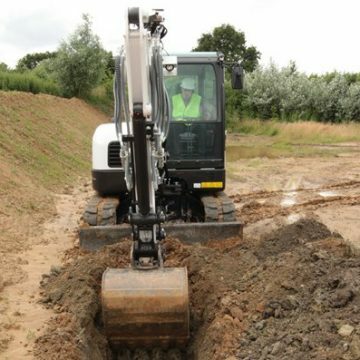 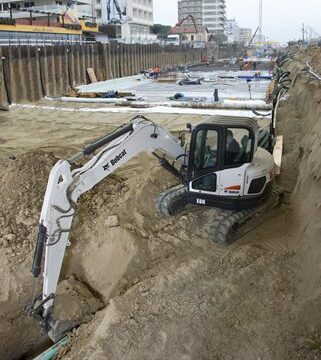 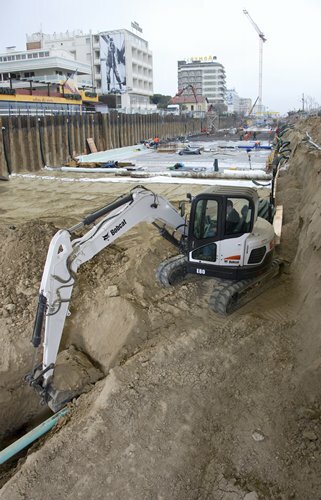 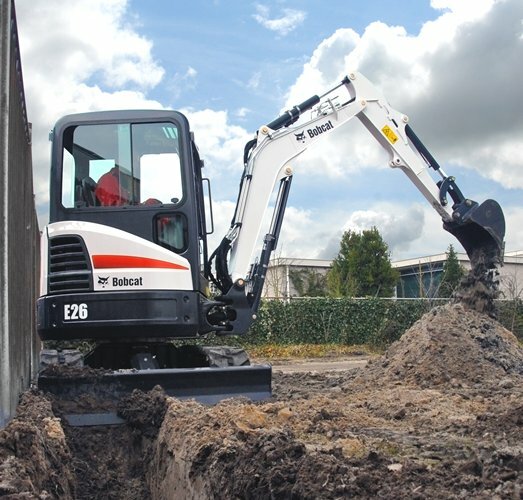 The E26 offers numerous customer advantages and new technologies that are not yet available on many of the compact excavators currently in the market. 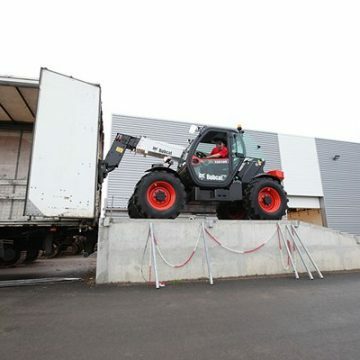 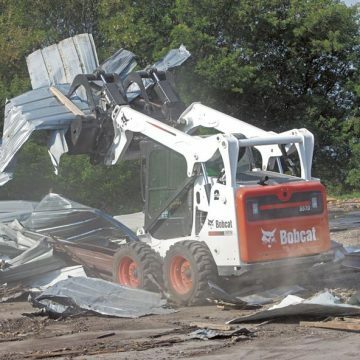 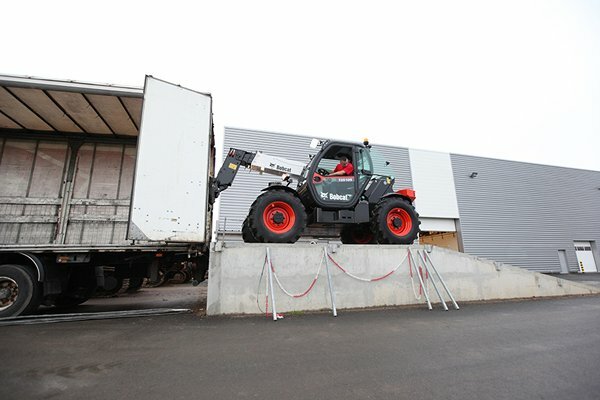 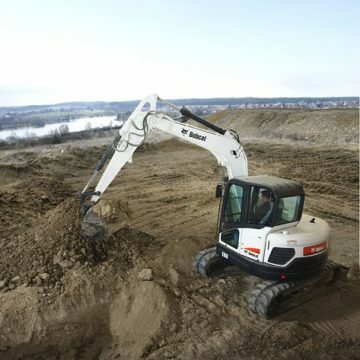 By optimizing the weight of the workgroup using the proven “4-plate box” technology, the center of gravity has been moved towards the back of the excavator. 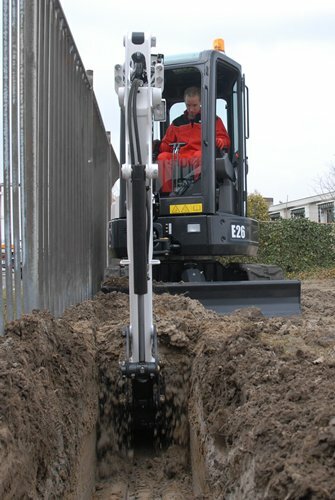 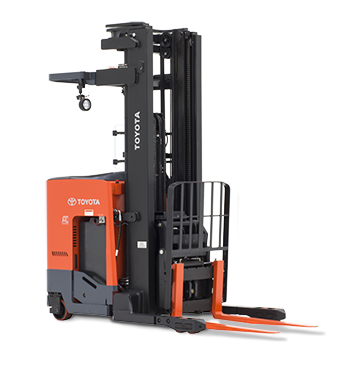 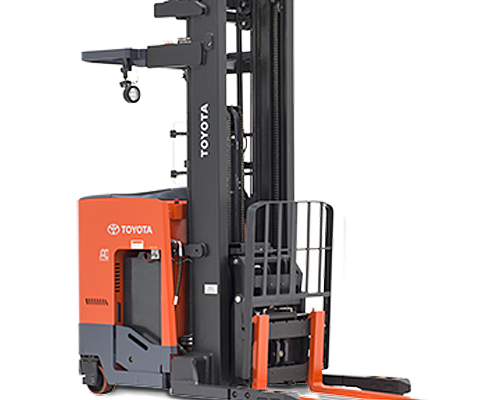 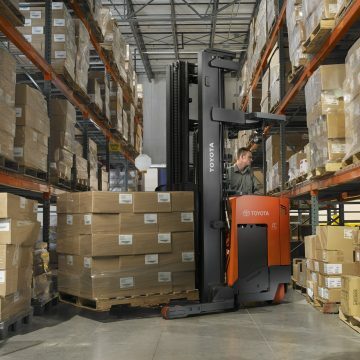 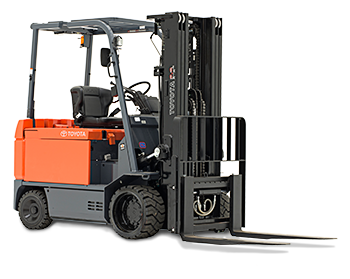 As a result, the E26 does not require an additional counterweight when configured with the optional long dipper stick. 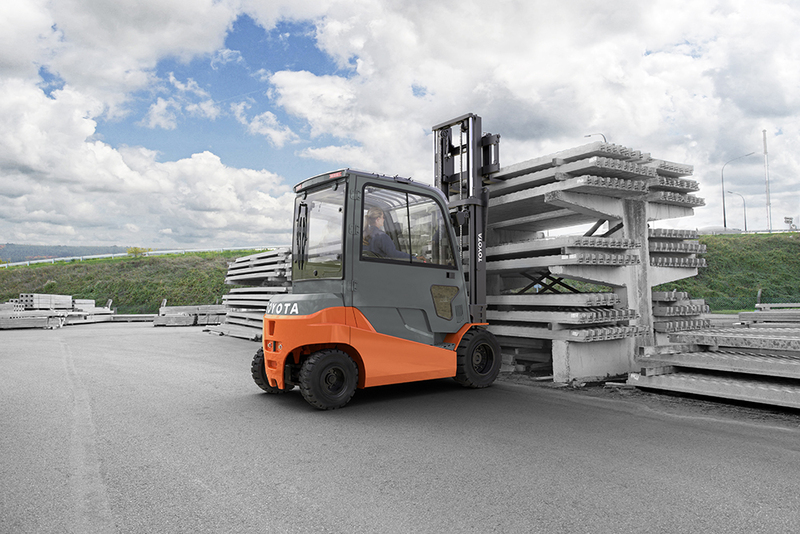 Thanks to the optimized weight, the E26 can be more easily transported by trailer. 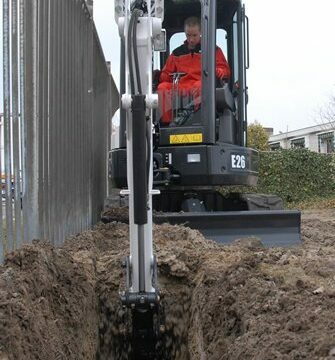 Thanks to a new main control valve, optimized pump and higher working pressure, the hydraulic system allows smooth, quick and simultaneous operations in combination with powerful digging forces. 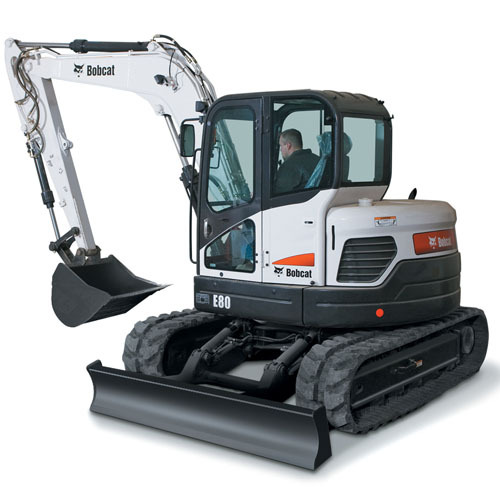 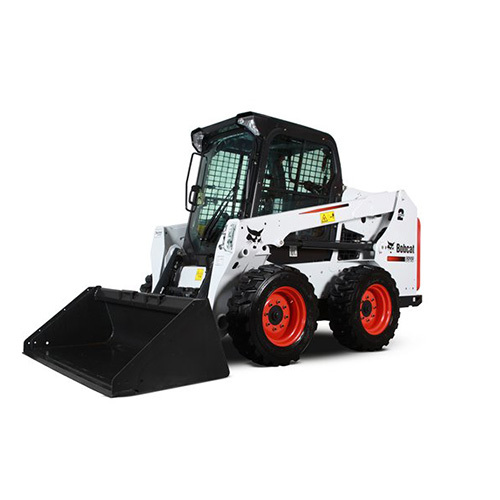 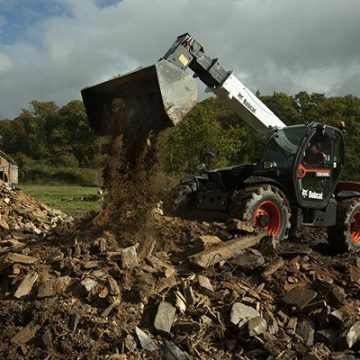 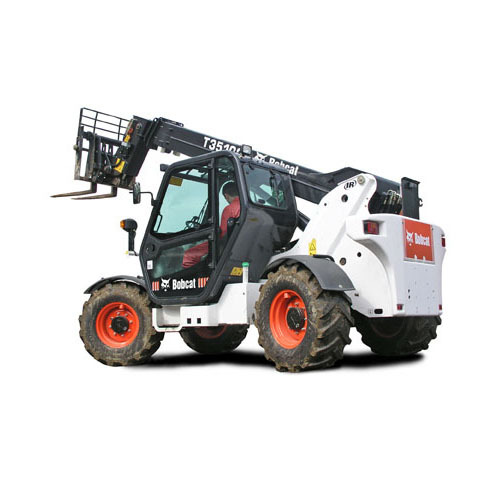 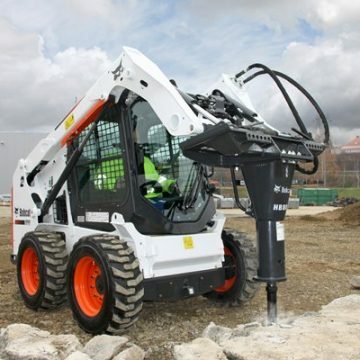 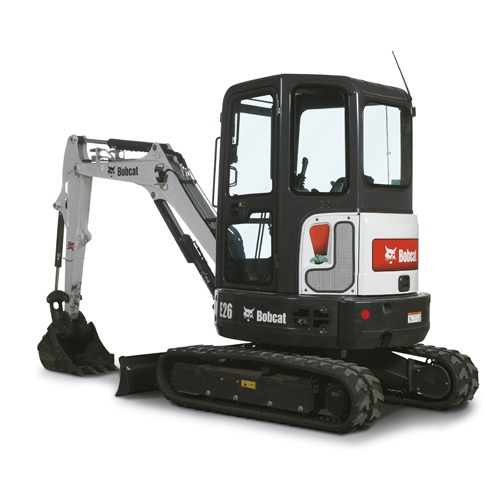 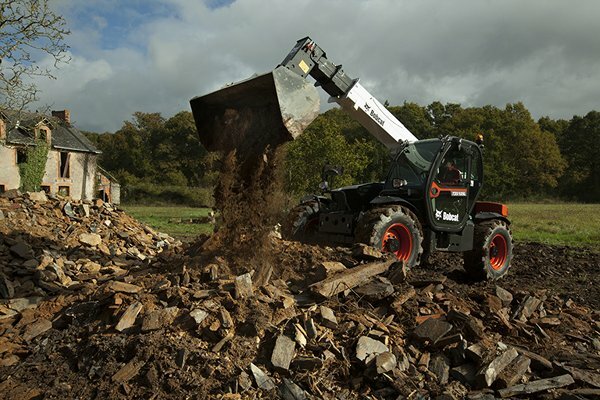 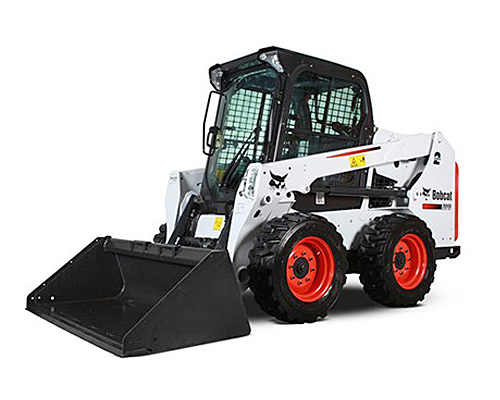 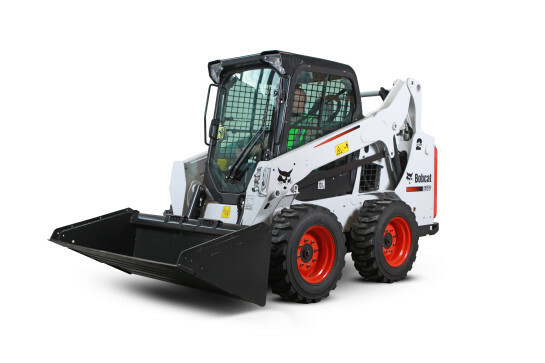 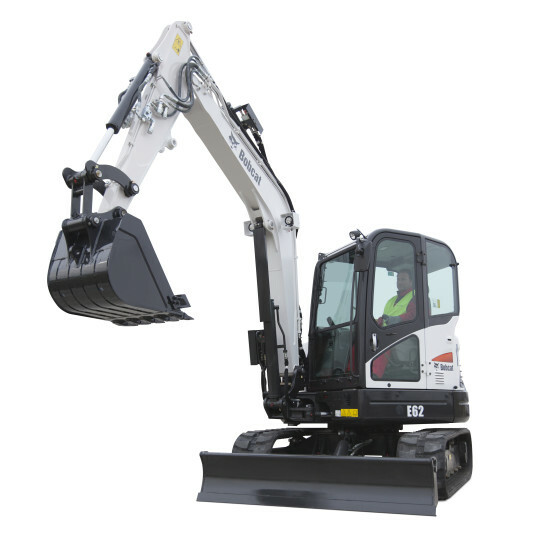 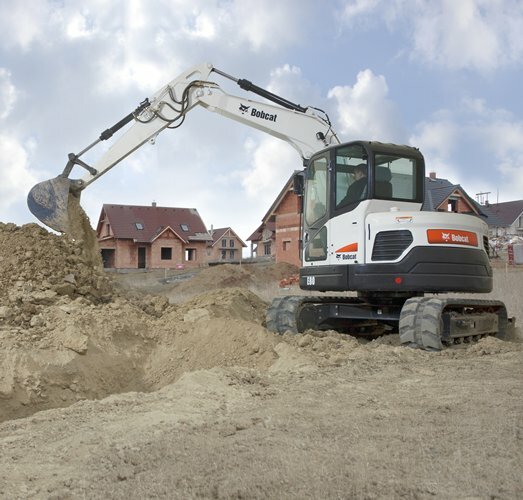 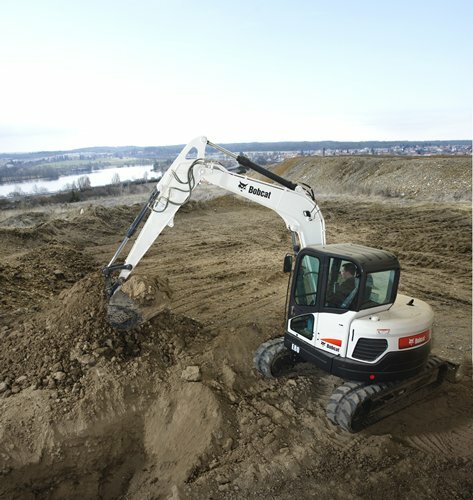 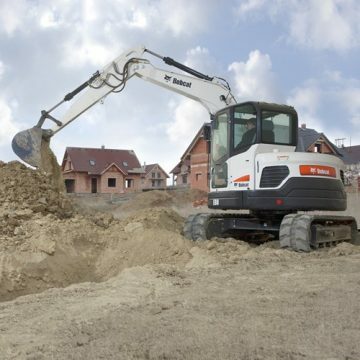 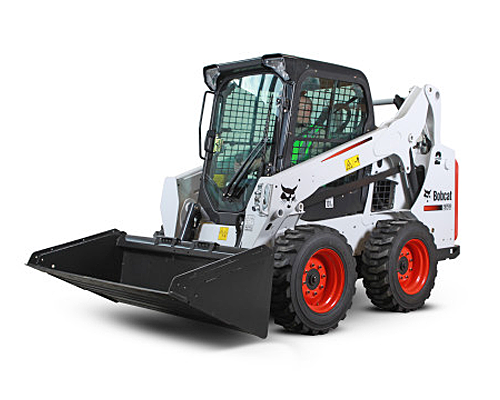 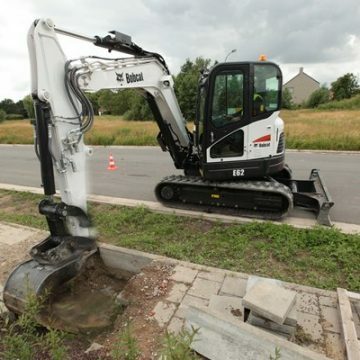 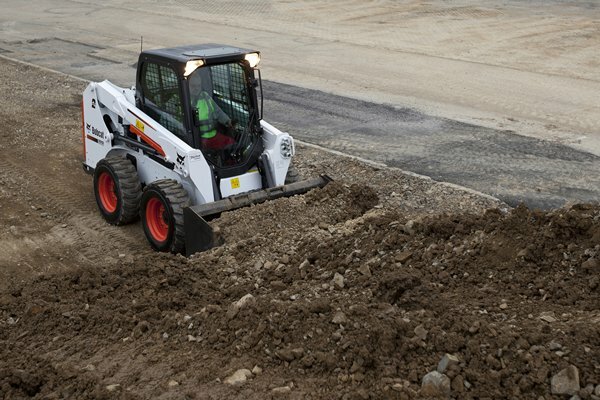 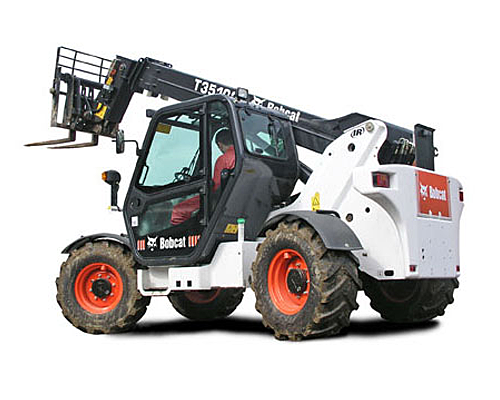 A key feature on the E26 is the incorporation of the same cab used on the Bobcat range 3 to 5 tonne compact excavators. 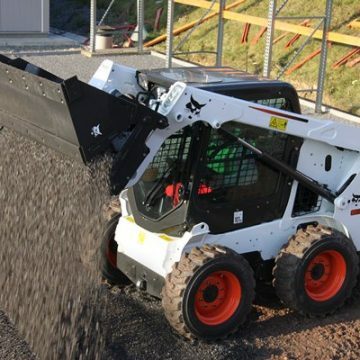 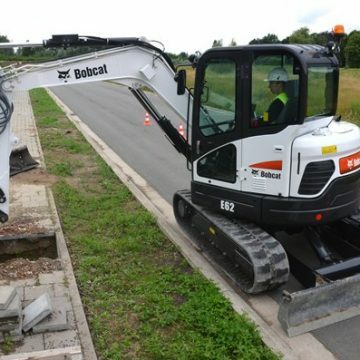 Operator comfort and ample entry space have always been very important features of Bobcat compact excavators, and the Bobcat E26 does not compromise these features. 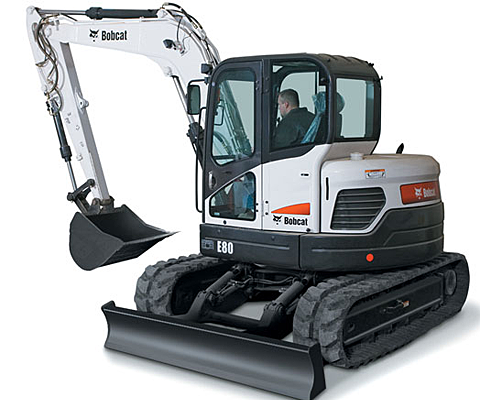 This also counts for the improved operator noise level. 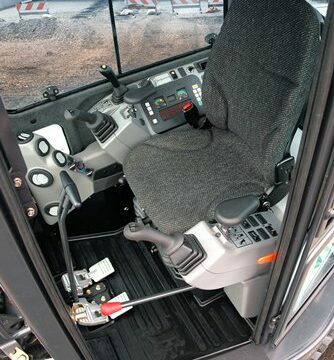 Boom swing is controlled by a thumb wheel located on the left joystick, instead of the pedal control used on many competitive machines of this size. 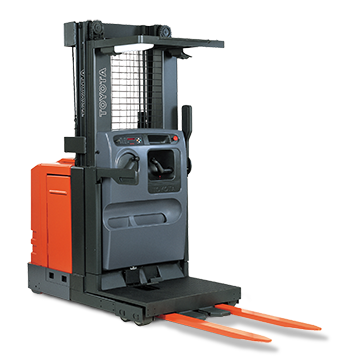 This feature allows for improved controllability (metering) of the boom swing as well as offering more floor space for the operator. 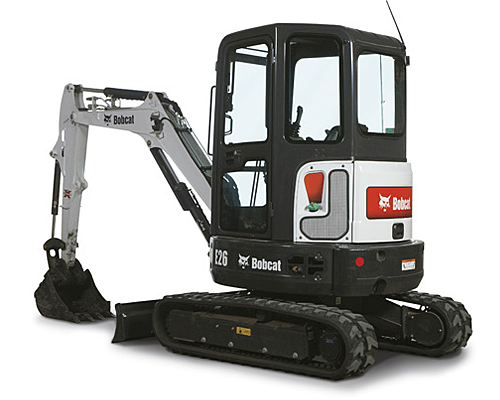 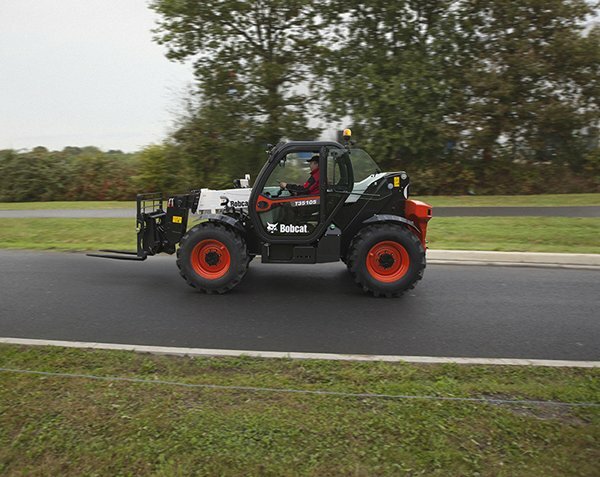 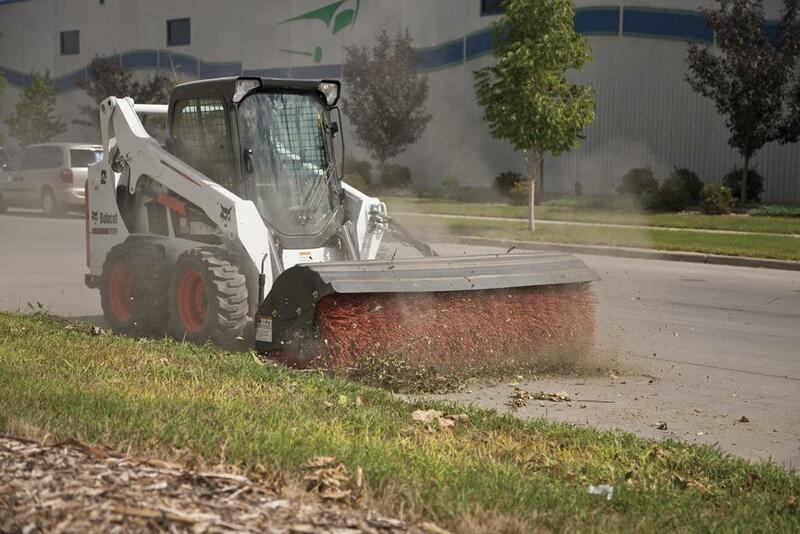 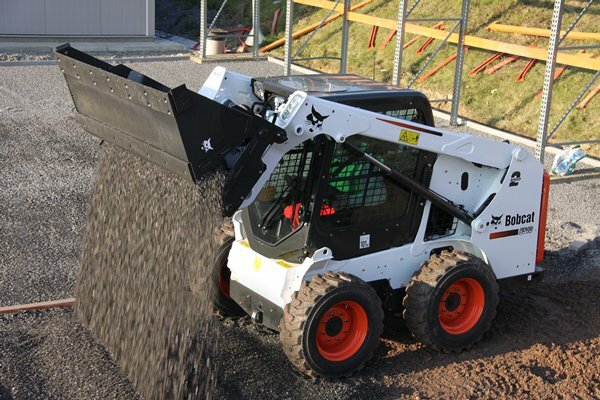 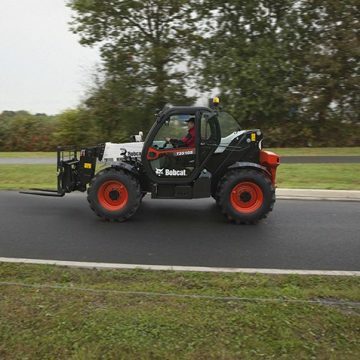 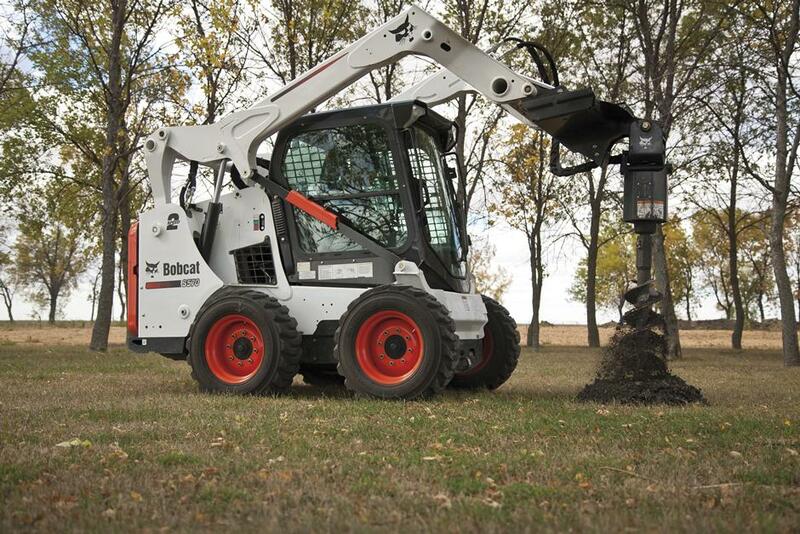 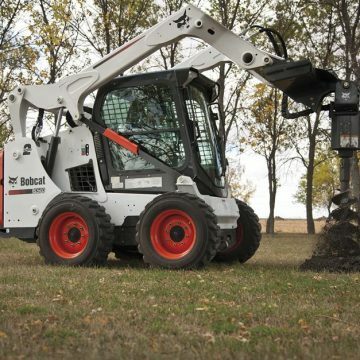 A new feature offered by the Bobcat E26 is the auto-shift travel motor which allows an automatic transition of speeds. 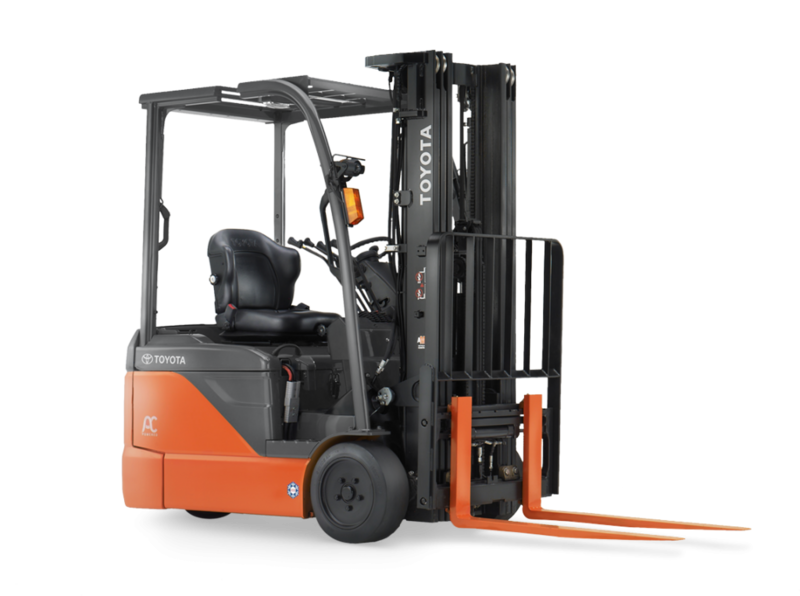 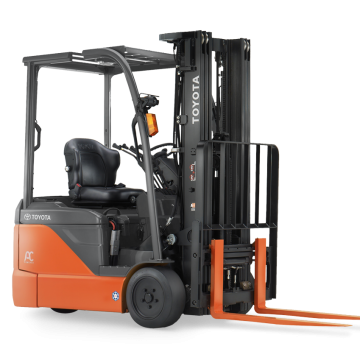 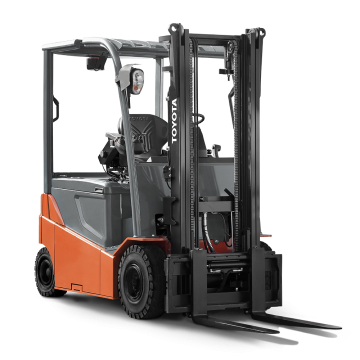 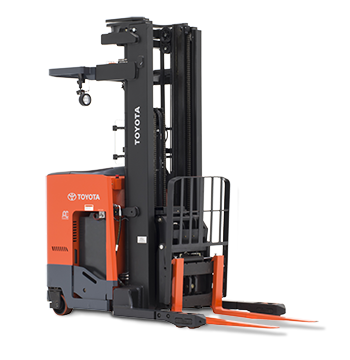 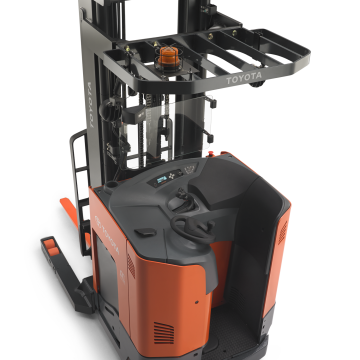 The machine shifts automatically from low to high speed or vice versa, providing superb travel performance in any working condition. 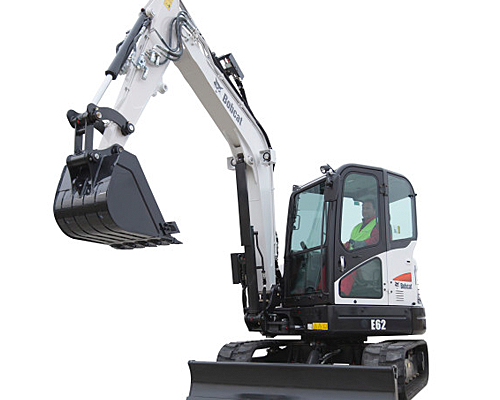 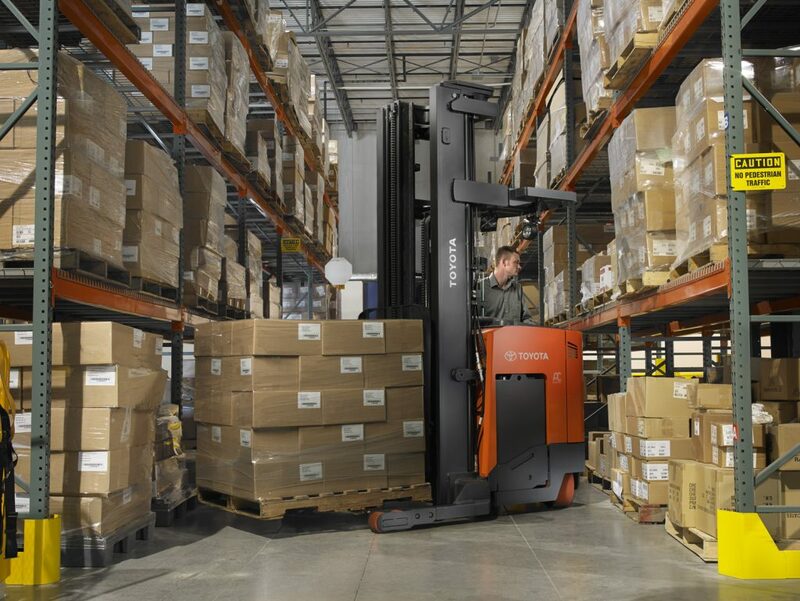 The operator activates this feature by simply pushing the button on top of the blade control lever. 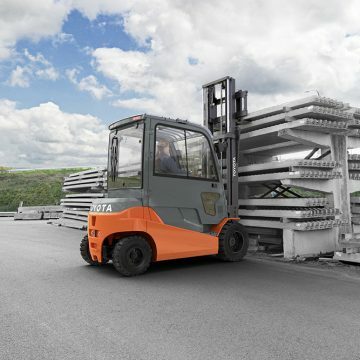 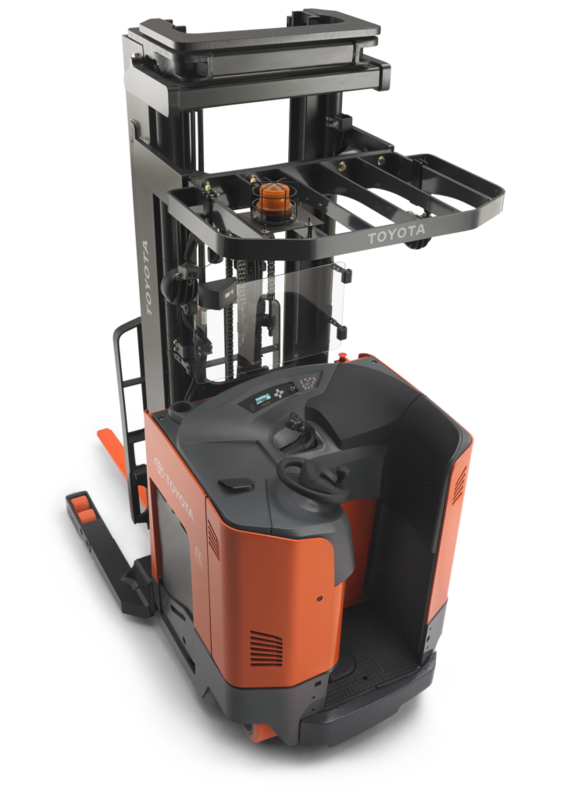 Travel controls with new cast aluminum pedals enable smooth, precise control of the machine. 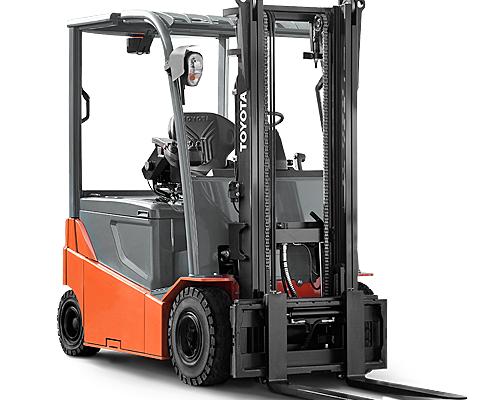 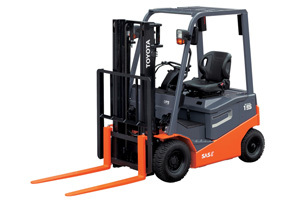 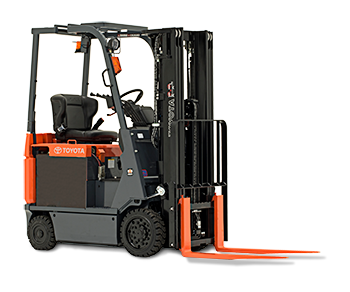 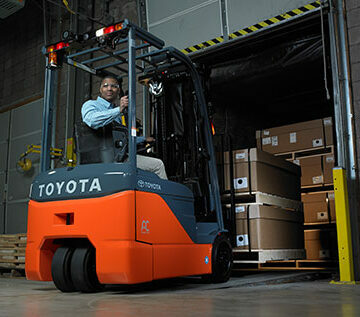 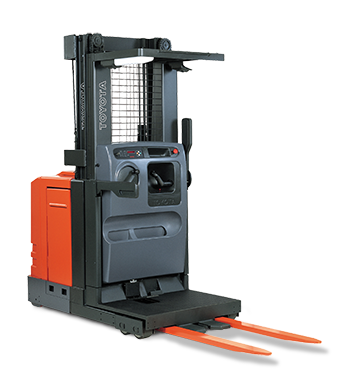 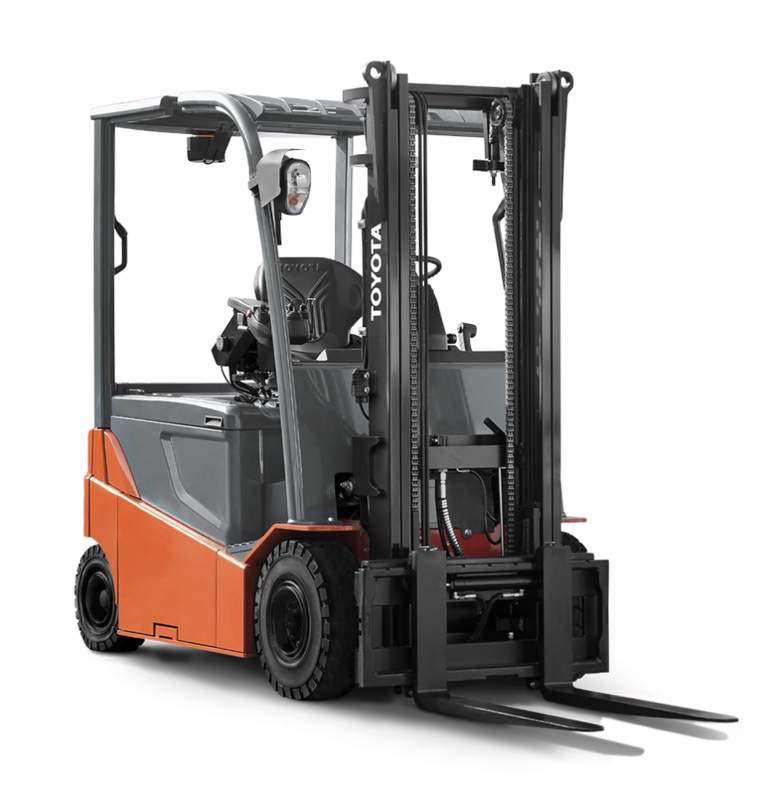 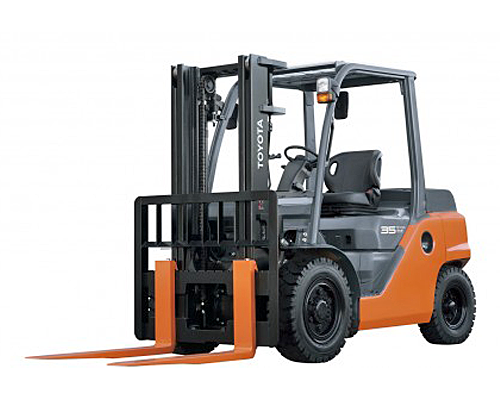 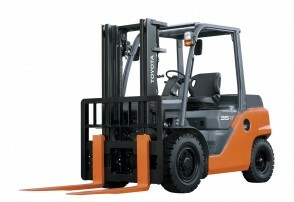 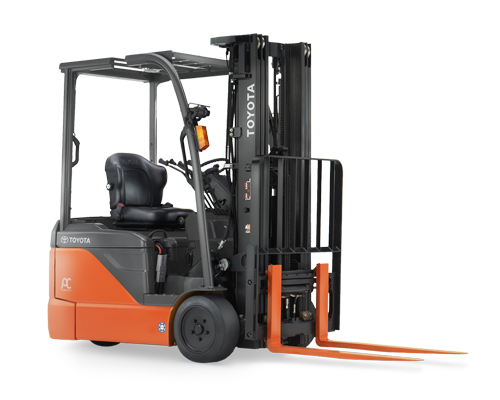 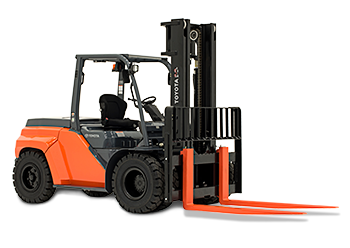 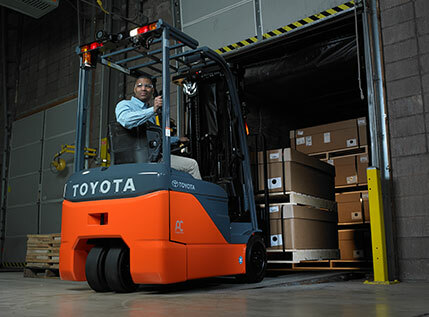 When not in use, the pedals can fold forward for maximum foot room and easy cab clean-out. 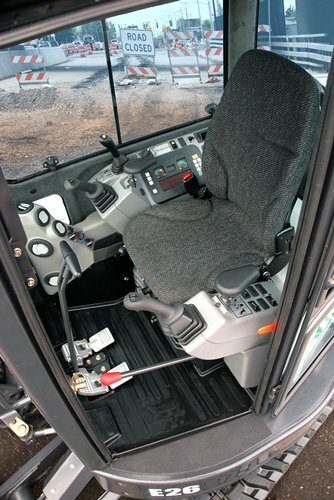 The travel levers are positioned in adjacent to each other, allowing easy drive control, even with one hand if necessary. 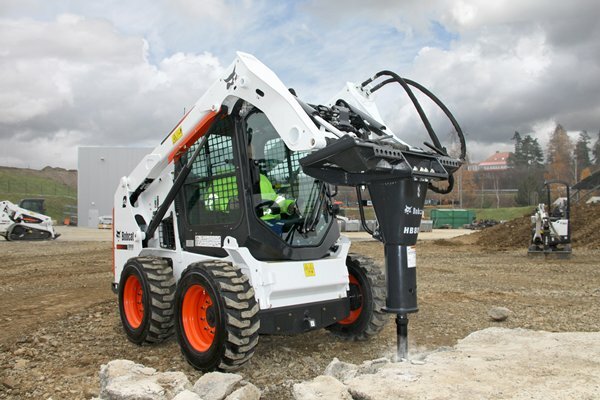 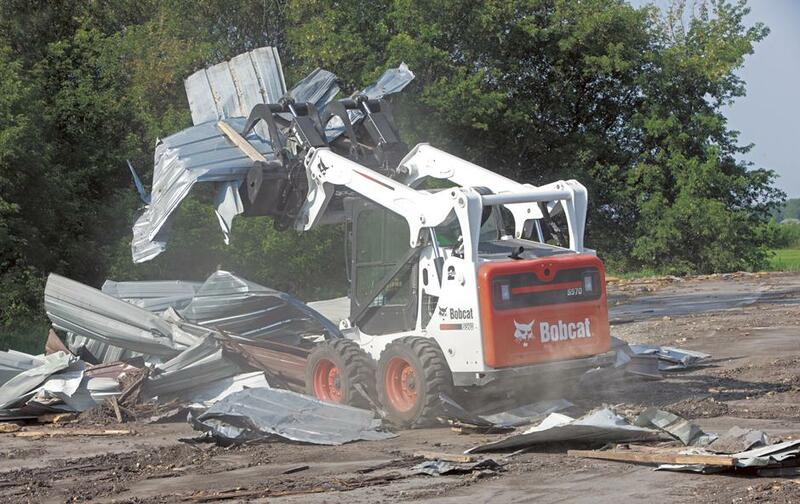 This makes it easier to backfill as the operator can steer with one hand while adjusting the blade with the other. 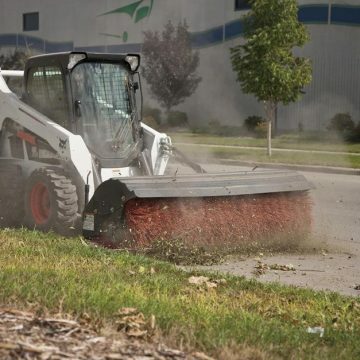 Another approach would be to use the floating feature on the blade. 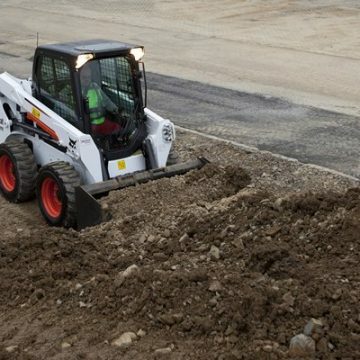 Computer-aided design, highly durable materials and structures which are endurance-tested under extreme conditions contribute to improved reliability and extended service life. 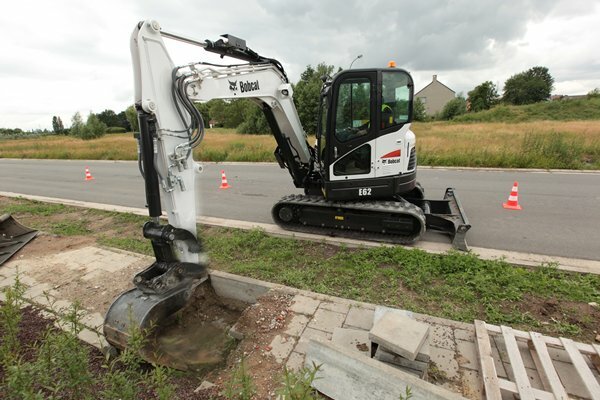 The E26 is designed so all daily maintenance points are easy to access through the rear tailgate, right hand side cover, removable grill and side panels on both sides of the excavator.